The National Weather Service office in San Diego issued a freeze warning for Wednesday night in the inland valleys. “As the offshore winds continue to weaken, widespread frost and freezing conditions are expected again tonight,” the weather service said. The warning covers the inland valleys and lower desert areas as well as the cities of Escondido, El Cajon and Santee. 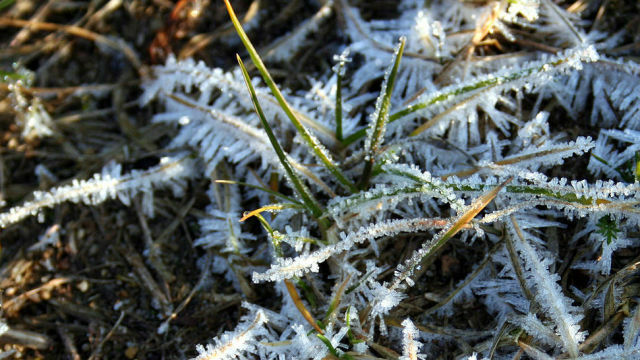 Temperatures could fall as low as 26. The weather service warned that water pipes could freeze if not adequately insulated. Sensitive plants and crops could be damaged or killed, and adequate shelter was advised for pets.